I think it's really important to use the first day of class to set expectations and get students excited. I try to teach it as a typical class so that they know what to expect. However, I have learned over the years that for community service learning courses, it is a good idea to ease into things, to take one step at a time, to use class time to tie up the many loose ends this kind of pedagogy can create. 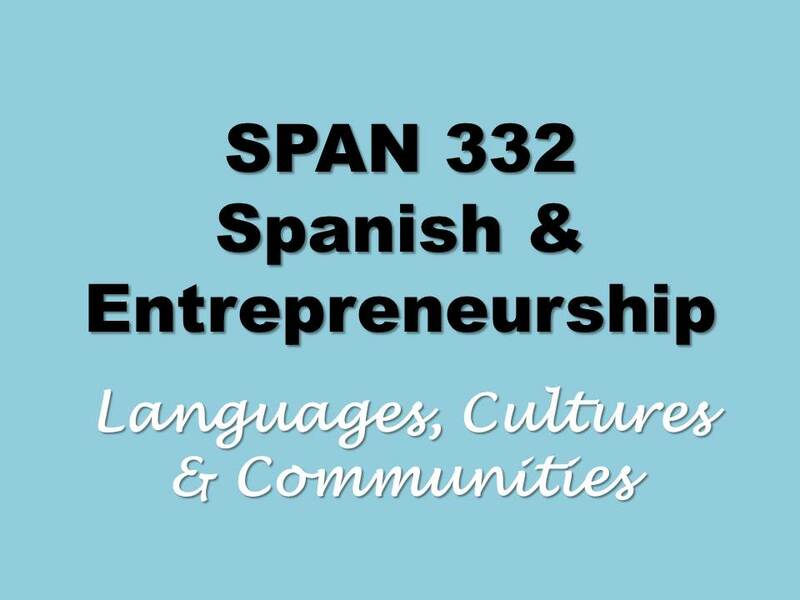 I usually post my lesson plans on the UIUC Spanish Community Service Learning Facebook Page. Why? Because I post a lot of links that we then use during class for information and analysis. I also often have students write responses to my posts as a way to share their analyses, questions, etc. So look for the blue picture above that will accompany my lesson plans for this semester. With that in mind, here are my lesson plans for the first week of SPAN 332 Spanish and Entrepreneurship: Languages, Cultures and Communities. Conocer a tus compañeros de curso. I put students into pairs and gave them five minutes to talk to each other, to find out why they are in this course, to learn a little bit about the other person. Then I told them to go to our Facebook page, and: ¨Haz clic en el botón azul de esta página que dice ¨Send Message.¨ Sube una foto de tu grupo con algunas frases sobre ustedes.¨ This was fun! And since it was a message, it was private. After I got back to my office after class I read and replied to them all. This exercise introduced them to our Facebook page, where I post lots of useful information, it showed them the importance of getting to know each other and learn each other´s names, and hopefully it got them excited about the ways that they can be active learners in this class. Ver los tres pasos en el proceso de emprendimiento. I wanted to give students just a quick peek into the content we will study this semester. I gave one student a marker and asked her to write the first step as I said it, she gave the marker to another student who wrote the second step, and that student gave the marker to a student who wrote the third step. (I like to get students involved, and yes, writing on the board is actually an important tool, I think.) Anyway, here are the three steps. Empezar a pensar en la comunidad donde vas a trabajar 28 horas para este curso. The local Latino community where they will work is full of complexities, and we have to guard against stereotypical or superficial projections onto what they will soon observe. I projected the Radio Ambulante website and told them: Vamos a escuchar algunos minutos del último episodio de Radio Ambulante, "Recién llegados¨. We listened to a little more than seven minutes of the episode, and then I put the students to into pairs. I asked them comment on why listening to that is important for this class and what they should take away from it. They gave very interesting, good answers. Lamentablemente, la universidad nos pide que les mostremos este video sobre qué hacer en caso de emergencias: http://police.illinois.edu/emergency.../run-hide-fight/. Choosing a place to work is a big deal! Students are often a little hesitant, a little apprehensive. They want as much information as possible. They might be afraid of making a mistake. Or they´re not sure how they can get there and back in the time they have between classes. It´s complicated. And today´s class is meant to help them decide--to take the step and make their decision. We need them to decide and move on so that they don´t fall behind. First, we´ll just watch and listen to these students say very brief things about where they work and what they do. Then we´ll move on to the course wiki. I´ll assign an organization to each student and give them time to read the information, explore the website, look on Google maps, etc. 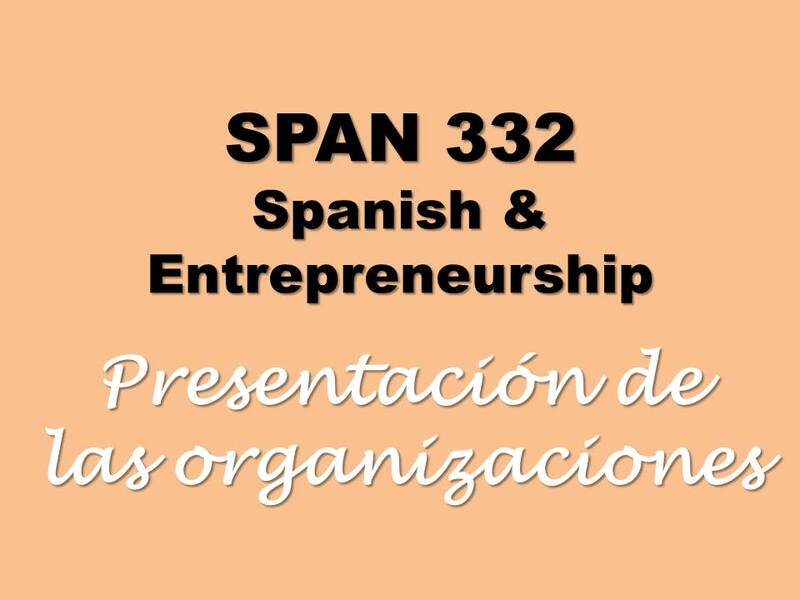 Then they´ll present the organization to the class. Finally, students will make their decisions and sign up on the wiki. The screencast below explains how to do that. On my opinion the best way to learn any language is to have constant speaking practice. In such case the best way is to find a tutor and native speakers. I can advise https://preply.com/en/wroclaw/spanish-tutors for searching native speaking tutors. I've learnt Spanish using this website. All other methods you can use as aditional way to gain new knowledge and practice already completed material. But I'm looking for new methods to improve my skiils. Can you help me?